Martial arts has been known for centuries to help bring discipline, tranquility, peace, and also help in creating defensive strategies against an enemy. 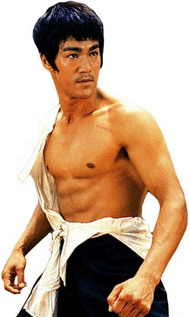 I can remember watching Bruce Lee's "Enter the Dragon"and the "Chinese Connection," along with one of my favorites, the "Five Deadly Venoms." It was these movies that gave me hope that I could break bricks and fight opposition coming from all directions. I did not realize how the art of martial arts would really apply that much to other areas of my life, until I got older and begin to deal with different things in life. From relationships, to my career, education, family, community, and fun, the art of focus has helped me to create a much-needed balance. As a child, I studied Tae Kwon Do for a while, until a really bad experience forced me away from martial arts. Years passed, and I tried my hand at it again; but this time, it was with Kenpo. I studied that for a while and enjoyed it, but life was busy so I stopped and moved on to something else. More years passed again, and then my children wanted to get into the arts. They started studying Shorin-Ryu and after watching them, I tried my hand at it again. This time I stuck with it, and in addition to winning several championships, I really enjoyed the discipline. The one thing I will always remember is learning to focus on my target, with precision and clarity. While things were always going on around me, when I had a goal in mind, those other things become invisible or eventually obsolete. What is your mode of focus? Are you able to focus on your targets even when there are so many distractions going on in your life? Distance- Sometimes, there has to be distance in the midst of that target. Are you moving too close or too fast towards the goal? It may not yet be time to drive it home, so keep a comfortable distance until the right time, while continuing to develop the skills you need. Eye Contact- While you are keeping some distance in certain situations, remember to keep your eye on the overall end target. Don't lose sight of that, although other things have come into focus. Proceed with caution- when the time is right, and you will know it, proceed with caution towards that target. You've kept your distance but your eyes stayed on the target; now you can proceed with caution. I use the word "caution" because there are times when we proceed towards something and let our guard down, only to be hurt. In martial arts, you learn to keep your eye on the target, but to also be aware of what is going on around you. Hitting the target- Now that you have driven yourself towards that end target, it feels good to know that you have come into a space where you can comfortably hit your target with precision and aptitude. Don't be afraid, you have been cautious thus far, but now the time is right, so go for it. Annihilate the fear- It is time to annihilate your fear and hit your target. You are at a place where your knowledge, skills, confidence and fortitude of a soldier, places you in a position for success. Sometimes, fear will be the last hurdle or challenge you have to face as you approach your target. Don't stop now, you must stay focused. While the names of the steps were changed to protect the oath of martial arts, these steps are sufficient to help you get closer towards your target goal of success.